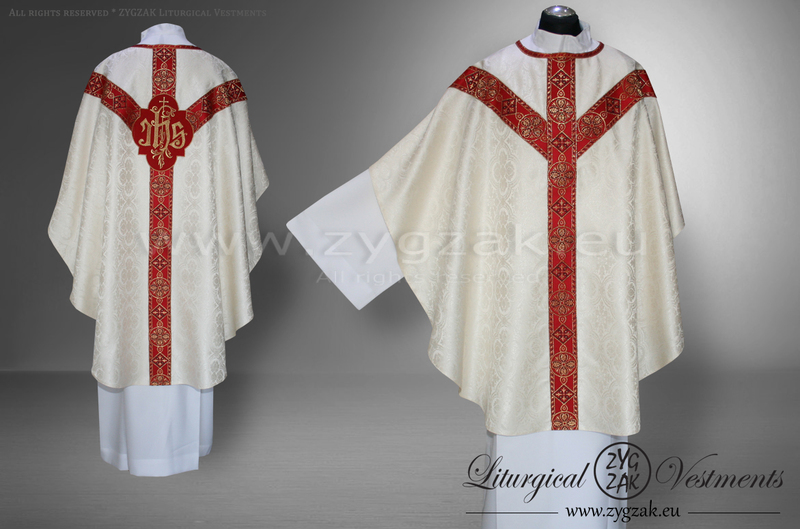 Chasuble in Semi-Gothic style, Stole, Maniple, Chalice Veil and Burse. 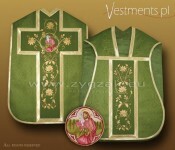 Fully lined Semi-Gothic style Sets made on medium weight damask. 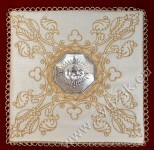 We also produce special designs based on our Clients commands and expectations. 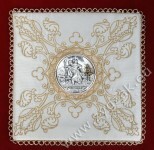 We guarantee the highest quality and short time of realization the order. 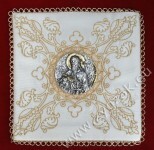 Contact us for more details. 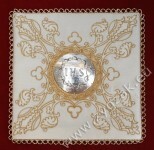 For more informations about presented design click here. 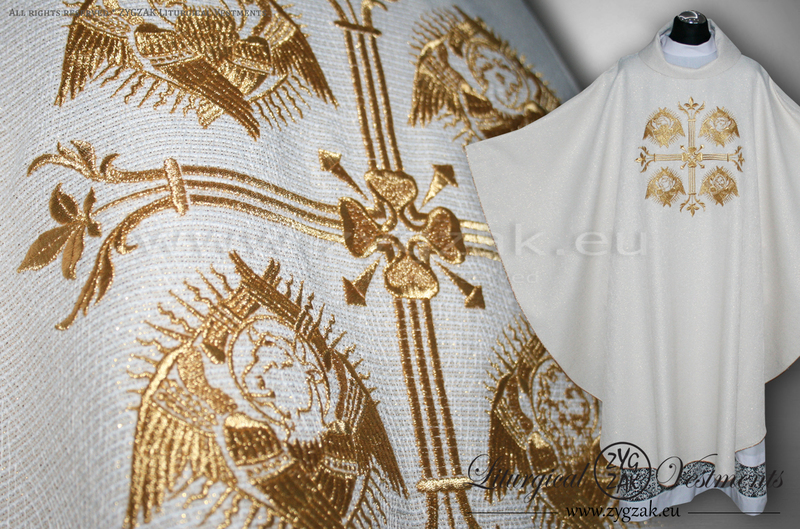 We present our new design - OG-HM-13 GOTHIC CHASUBLE - decorated with beautiful symbols of The Four Evangelist. 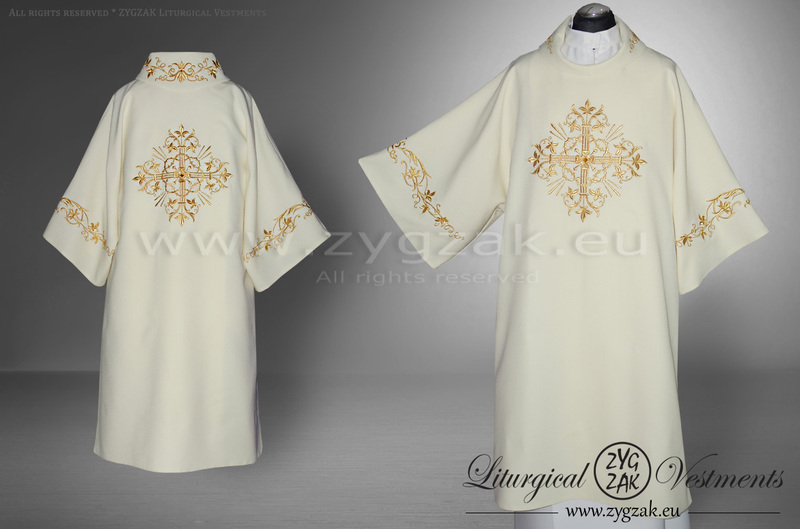 With a great pleasure we present our new Marian design Semigothic Low Mass Set. Velvet orphreys in amazing Royal Blue color look wonderful. 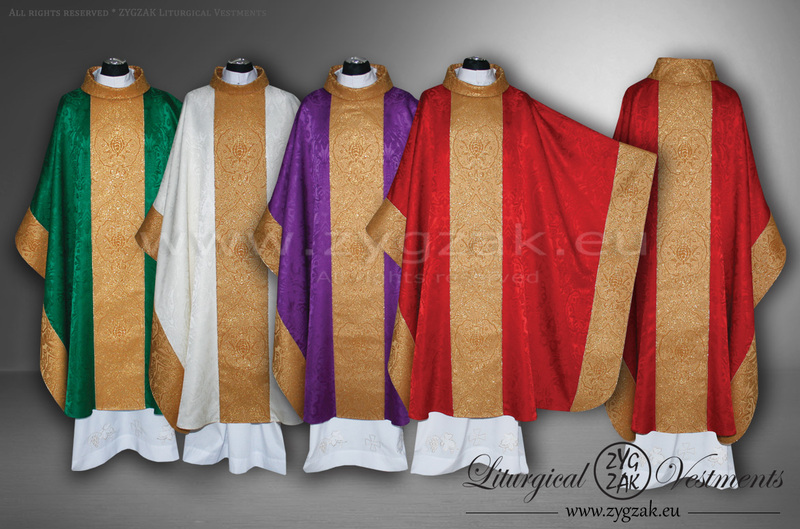 We love that mix of colors and deeply recommend it... For more details - you can go here or simply click the photo. 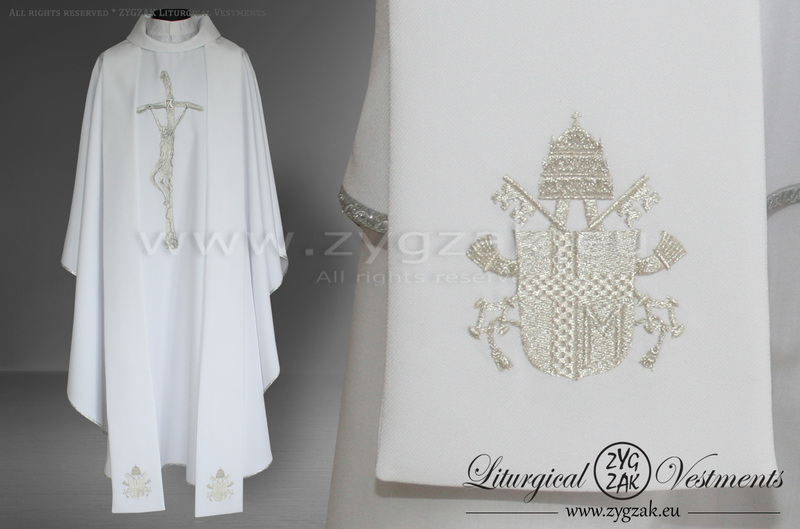 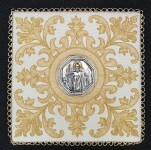 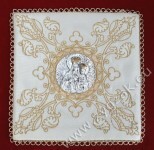 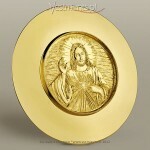 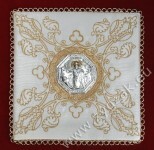 We honoured to present our new product - beautiful "METALLO" orphrey for semigothic vestments. 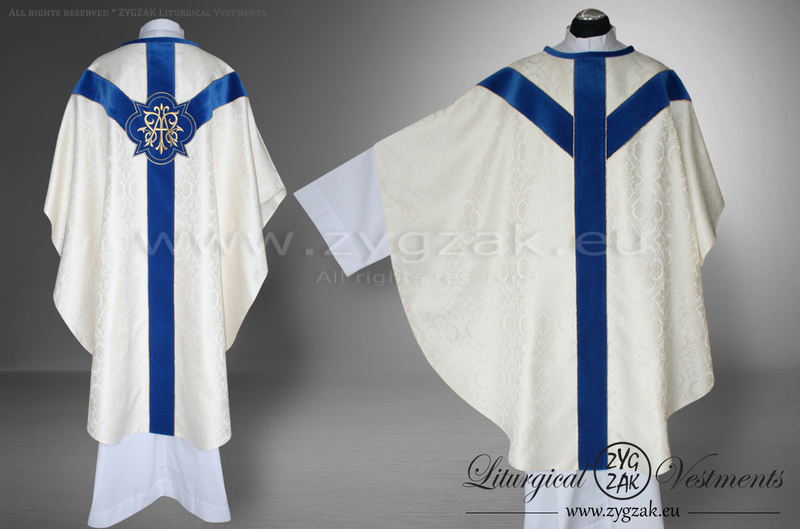 Our standard GT2 orphrey is already very well known our Customers like very much this design. 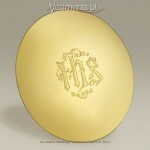 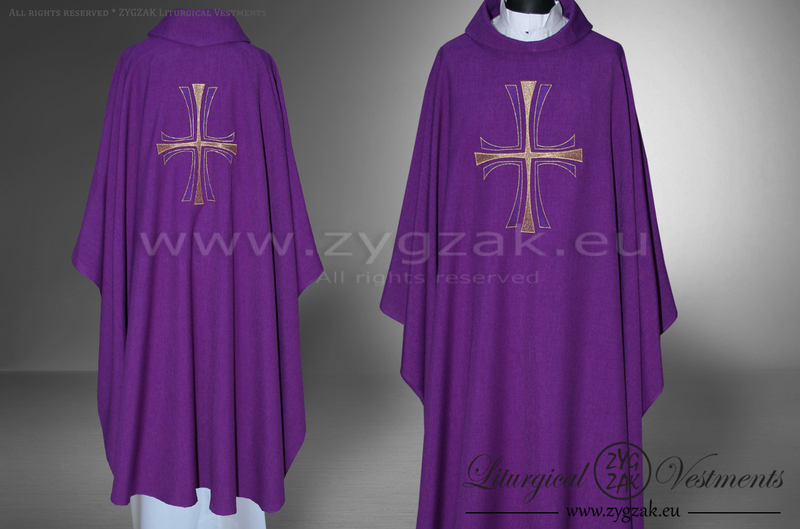 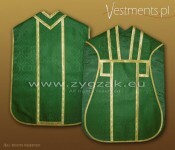 But we - still looking for better and better quality of our vestments - decided to make something more exclusive. 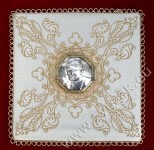 And finally we got it. 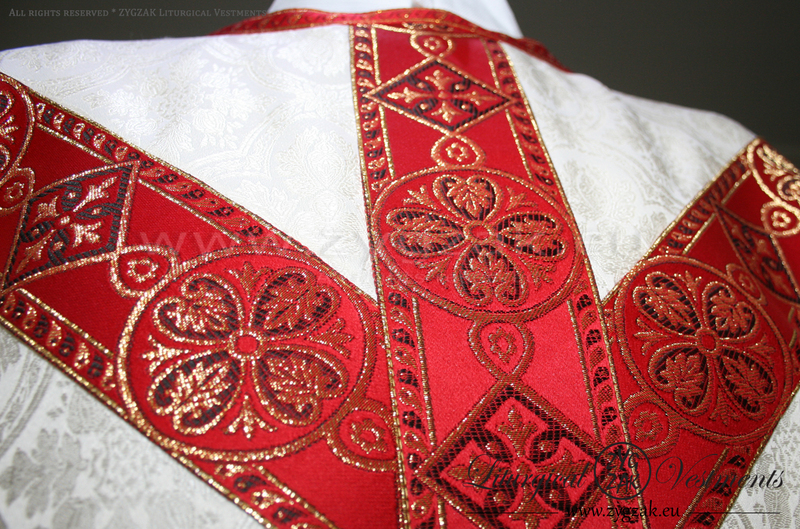 Our new GT2 "METALLO" orphrey is in deep red color and it is woven with real metal thread. 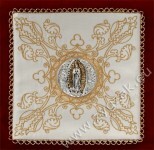 The final visual effect is truly amazing and we can recommend it even for the most demanding customers. 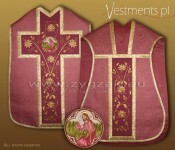 Pay less buying complete High Mass Set !!! 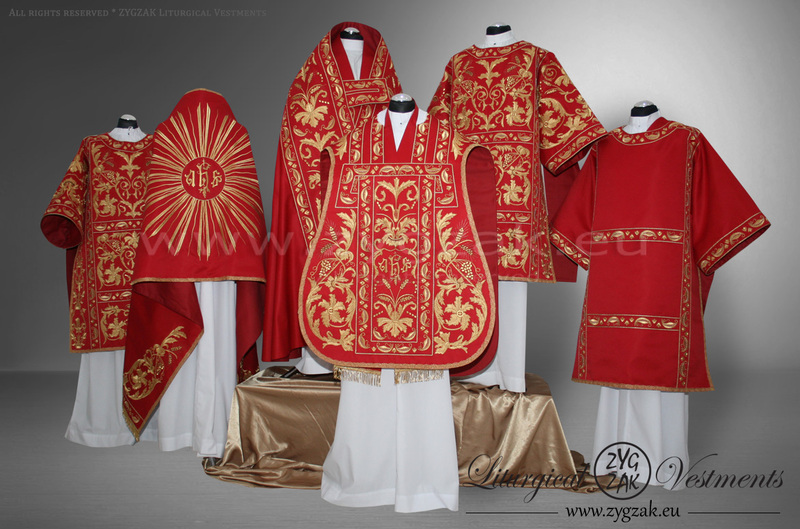 We would like to present our Latin High Mass Set now available with new beautiful concelebrant Dalmatic. 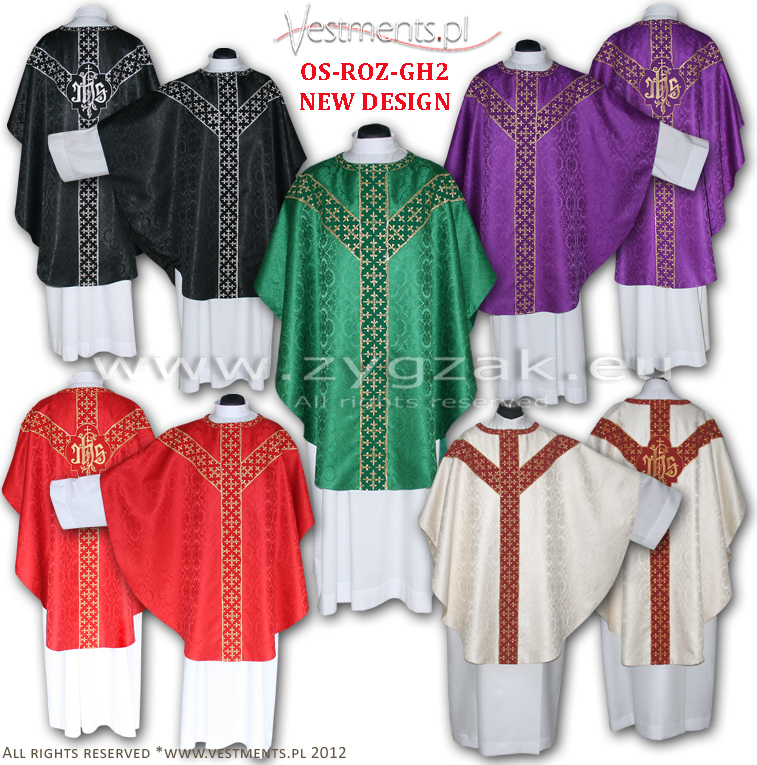 Now we offer much more possibilities and options to choose to create your own customized High Mass Set. Many items are held in stock, whilst some are made to order - we always guarantee delivery as soon as possible.